Portions of this project were first published in Food & Wine. The World Health Origination studies have found that: Around 3 billion people still cook using solid fuels (such as wood, crop wastes, charcoal, coal and dung) and kerosene in open fires and inefficient stoves. Most of these people are poor, and live in low- and middle-income countries. 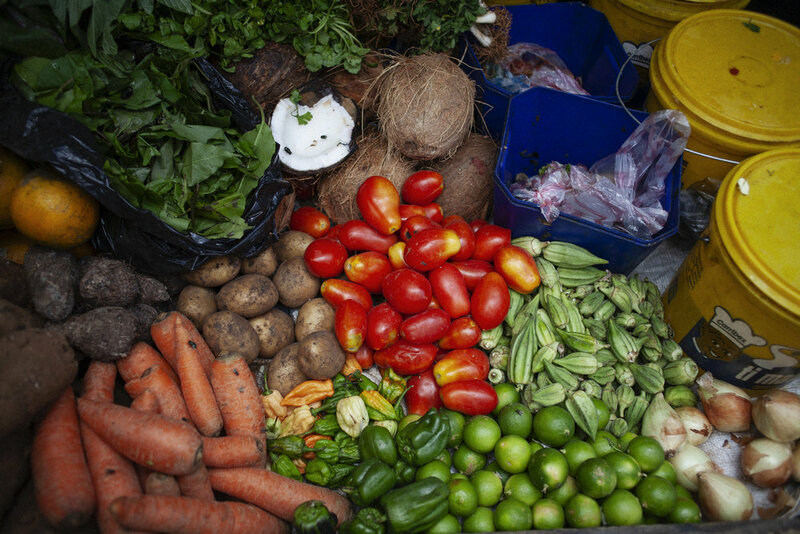 These cooking practices are inefficient, and use fuels and technologies that produce high levels of household air pollution with a range of health-damaging pollutants, including small soot particles that penetrate deep into the lungs. In poorly ventilated dwellings, indoor smoke can be 100 times higher than acceptable levels for fine particles. Exposure is particularly high among women and young children, who spend the most time near the domestic hearth. Approximately 17% of premature lung cancer deaths in adults are attributable to exposure to carcinogens from household air pollution caused by cooking with kerosene or solid fuels like wood, charcoal or coal. The risk for women is higher, due to their role in food preparation. 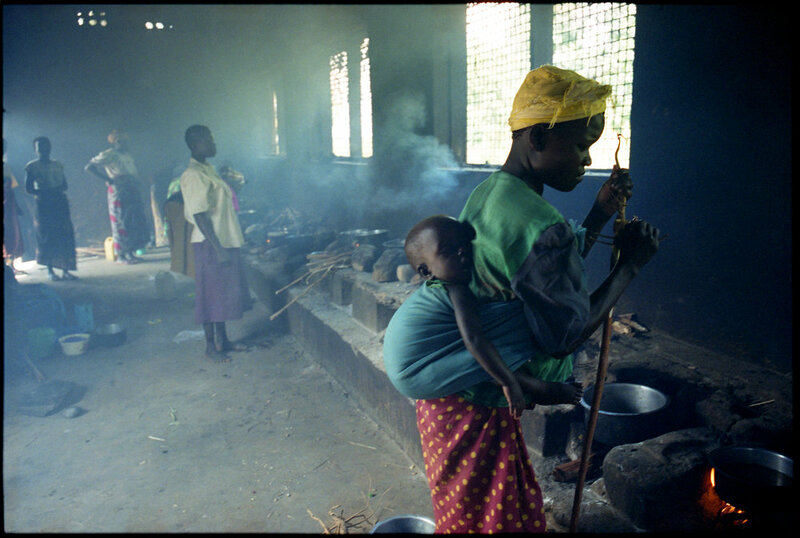 Orphans in Homa Bay, Kenya at work making charcoal. First trees are cut down and then the wood is slowly maked underground. Desperate to survive the children sold most of the charcoal at local markets and used a little for themselves for cooking. Left: a mother with her newborn child at a hospital kitchen in Sierra Leone. 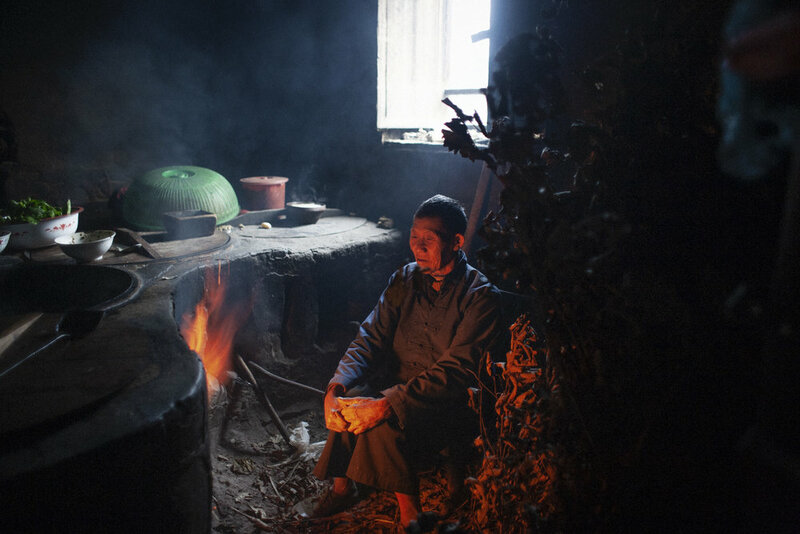 Right: a peasant cooks in a traditional oven in Hunan Province, China. That legacy continues to this day. 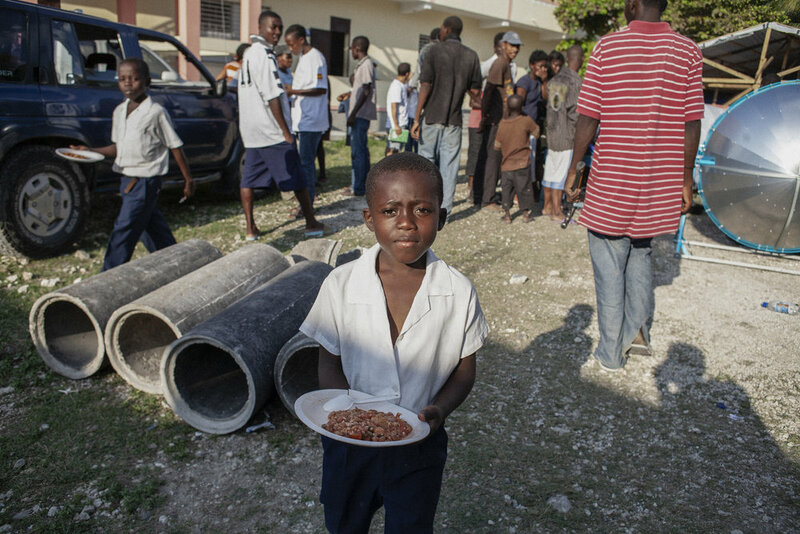 World Central Kitchen has expanded in Haiti with numerous programs including Haiti Breathes. The program’s goal is to convert Haiti’s school kitchens to use liquid petroleum gas from burning solid matter including charcoal.. In 2016, World Central Kitchen converted 50 school kitchens to propane stoves and has set a goal of creating 40 new school kitchens by 2019, according to its annual report. 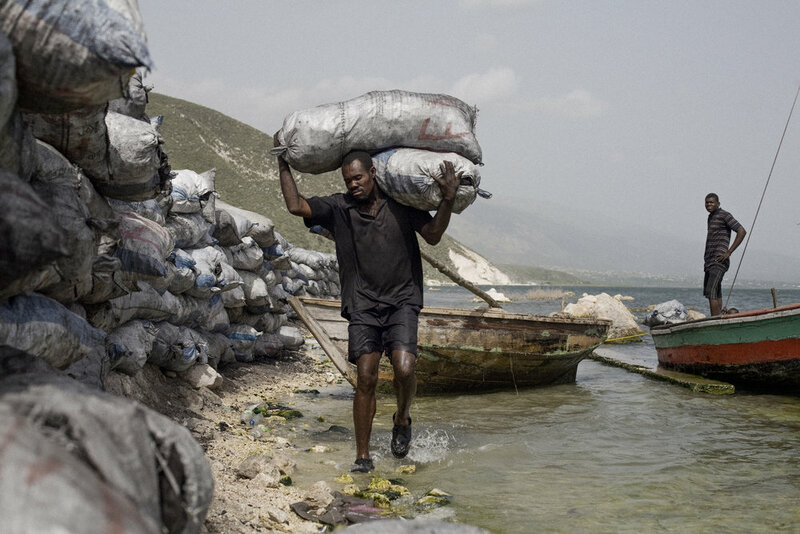 The following photos are from José’s first trip to Haiti. 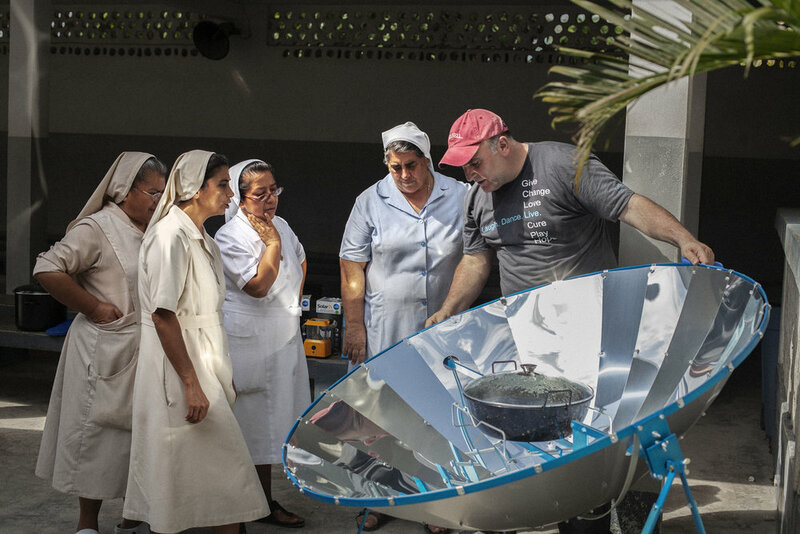 Chef José Andres takes the lid off of a pot powered by a parabolic solar stove. The stove refracts the sun and concentrates it to heat the food which can cut down on the reliance for people to cook with charcoal, a product of cut trees. In the aftermath of the devastating earthquake José traveled the island asking displaced residents if they could benefit from parabilic ovens (the overwhelming reply was yes). We also talked about how we could portray Hatians differently than they usually are in the general media. One thing we noticed was that in the IDP camps the food sellers at makeshift stalls each had an individuality to their recipes. 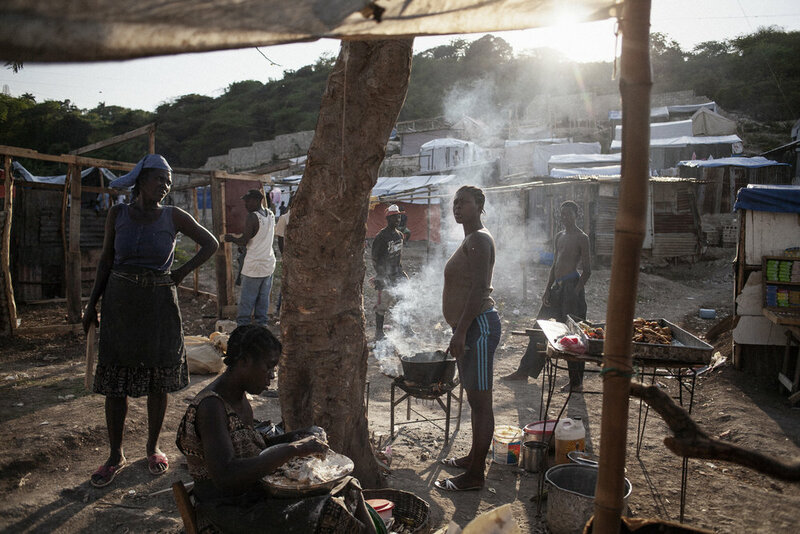 Although displaced they still took pride in cooking flavorful meals. Rather than focusing only on the poverty and displacement that surrounded their lives we wanted to explore how defined themselves through the culinary processes they held onto. It was not easy in those hard days to find added ingredients for their foods, however those who really cared made the effort to find ingredients and liven up their meals even if it meant some finely chopped jalapenos in a simple potato fritter. Hélène Thérèse, photographed above, who made an effort to restock her little stand with more than just jalapenos said: “I'm a Haitian: I need a little spice in my life—and that begins in my food! The earthquake took away so much from us, but not my love to cook. Cooking is so important to me as a Haitian, it’s a part of my identity and I express my Haitian heritage though how I cook. It's not easy to find ingredients in this devastated environment, but I try and at the end of the day I manage to make something special out of what little we have. Some have said that we've resorted to eating dirt mixed with butter! I will never eat dirt, but find a way to be creative even when times are hard. Sometimes that only means some chopped jalapenos in my fritters, but I'll make your mouth water with whatever I have."